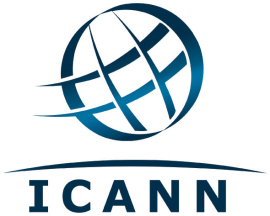 As expected and explained in an earlier post , ICANN has published the list of applications for new gTLD strings (new domain extensions) on 13 June 2012. All who were concerned about domains in any way have been looking forward to see what the big corporates and organizations have been wanting to acquire. ICANN’s list makes public information regarding the extension applied for, applicant name, location, primary contact, e-mail id and application id of all the applicants. App (.app) turned out to be the most sought after extension, with thirteen different companies, including Amazon and Google, applying for it. As expected Microsoft, Apple, and Google applied for .microsoft, .apple, and .google respectively along with dozens of other companies applying for extensions bearing their names. Google applied for a total of 101 gTLDs – three of which are .lol, .youtube, and .docs – while interestingly Apple applied for just one gTLD: .apple. Amazon applied for 76 extensions including .music, .mail, and .buy. At the same time, Microsoft has applied for 11 strings including .windows, .microsoft, and .live. There, of course, are plenty of clashes with multiple organizations/people applying for the same extensions, with .app emerging the most wanted as mentioned above. ICANN has stated in the case of multiple applicants for the same domain extension, “community-based” applications (i.e. applicants that represent a group of companies or people, as opposed to just one) will be given priority; if there are no community-based applicants, ICANN will ask all the applicants to try to work a deal out amongst themselves; if a deal cannot be reached, domain extensions will be sold in an auction which will likely result in domain extensions going for seven figures or more.